The Uruguayan Senate voted Tuesday to approve a government-sponsored bill to legalize marijuana commerce. The Senate vote was the final vote needed for the bill to pass; all amendments to the bill were defeated previous to Tuesday's debate, so it now goes to the desk of President Jose Mujica, who supports it. Once Mujica signs the bill into law, it will go into effect in 120 days. The Broad Front coalition government headed by Mujica first introduced the plan to legalize marijuana a year and a half ago as part of a broader package of measures designed to reduce the crime and violence associated with the black market drug trade. After retooling in the face of significant opposition, the bill passed the lower chamber of Congress in July. Uruguay now becomes the first signatory to the 1961 United Nations Single Convention on Narcotic Drugs to break with the UN on the issue of marijuana legalization. The Netherlands has turned a blind eye to small-scale retail sales for decades now, but such acts remain formally illegal so the Dutch can remain in formal compliance with the treaty. Under the bill, the Uruguayan government will regulate the importation, cultivation, harvesting, distribution, and sale of marijuana. Would-be pot smokers will have to register with the government in order to grow their own (up to six plants), grow it collectively in a club, or buy up to 40 grams a month at a pharmacy. The bill was not without opposition. During debate Tuesday, Colorado Party Sen. Alfredo Solari, a former health minister, said that children and teens would be able to more easily obtain marijuana. "The effects of this policy on public health will be terrible," he warned. But Broad Front Sen. Roberto Conde retorted that easy access to marijuana is already the status quo. "Marijuana is already established in Uruguay," he said. "It's a drug that is already seen as very low risk and enormously easy to get." Opposition didn't just come from conservative lawmakers. Some marijuana users aren't very keen on the idea of having to register with the state in order to legally obtain their drug of choice. But President Mujica and the Broad Front argued that the bill would weaken drug traffickers and help reduce the estimated $80 million a year the country spends fighting drugs and imprisoning traffickers. The estimated 128,000 Uruguayan pot smokers (user groups have a higher estimate of around 200,000) make up the largest illicit drug market in the country. The government is vowing to entice consumers with marijuana that is both cheaper and of higher quality than that produced by the black market, most of which comes from Paraguay, which produces plentiful but low-grade crops. "We are keeping in mind the prices on the black market, until we start to dismantle the functioning of the market," said Julio Calzada, secretary of the National Drug Board. "This law will return us to the vanguard of Latin America," added Broad Front Sen. Constanza Moreira. "For many of us, today is a historic day. Many countries in Latin America, and many governments will take this law as an example." Uruguay's move to legalize the marijuana business won accolades from drug reformers around the globe. In an open letter organized by the International Drug Policy Consortium,114 civil society organizations from around the world welcomed the vote. "The path taken by Uruguay establishes the basis for a new paradigm in drug policy," the groups said. "The organizations that have promoted these changes cannot ignore the efforts undertaken by the Uruguayan state. We will support Uruguay and every other state and jurisdiction as they seek to develop more sensible drug policies to tackle the problems related to health and security of their citizens, in full respect with international human rights treaties." "It's about time that we see a country bravely break with the failed prohibitionist model and try an innovative, more compassionate, and smarter approach," said Hannah Hetzer, who is based out of Montevideo, Uruguay, as the policy manager for the Americas for the Drug Policy Alliance. "For 40 years, marijuana prohibition has been attempted and it simply hasn't worked. But rather than closing their eyes to the problem of drug abuse and drug trafficking, Uruguay has chosen responsible regulation of an existing reality. Let's hope others soon follow suit!" "We applaud President Mujica and members of the Uruguayan General Assembly for their leadership on this important issue," said Dan Riffle, director of federal policies for the Marijuana Policy Project. "Support for regulating marijuana and taking it out of the underground market is not only growing in the United States, but also internationally. It will not be long before more states and nations decide to end marijuana prohibition." "Marijuana prohibition creates underground markets that generate billions of dollars in tax-free revenue for violent drug cartels and traffickers," Riffle said. "Regulating marijuana will allow authorities to control it and ensure profits are being used to benefit communities instead of criminals." Uruguay has just punched a big hole in the edifice of global marijuana prohibition. Who is going to be next? Where the heck is that place? Ah! Never mind. I see it on the map provided by the article. Uruguay has been a past human rights champion in ways that defy a lot of stereotypes. Forging ahead on such simple human rights as the use and consumption of natural herbs is a huge and historic step toward addressing the great threat of drug discrimination throughout the world. We can expect prohibitionists to misrepresent the consequences of marijuana legalization in Uruguay. Such nonsense is already echoing in places like Washington state involving manipulated driver statistics and arrests. Fortunately, the prohibitionist efforts are being thwarted by the overwhelming, positive, personal experiences of users of the contraband. The truth will set us free. 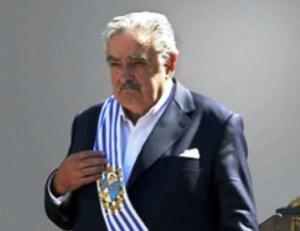 A Noble Peace Prize to President Mujica and his colleagues. What they have done in Uruguay will prove to the world that there never was a need for the totalitarian police state approach to marijuana consumption. Over the next year the most importanat news we will hear from Uruguay will be the same news we heard from Colorado and Washington over the last year since they legalized, which is no news. There have been no plagues of kids on drugs or road smashes due to marijuana. The hospitals are not full of OD's or schizophrenics high on drugs. Criminals have not taken over the state. 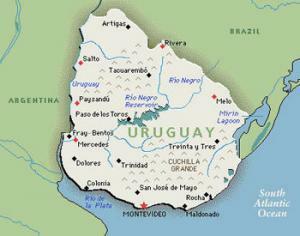 What happens in Uruguay will echo around the world. As other nations follow and legalize, crime, corruption, violence and terrorism will gradually decrease. Nothing could do more for world peace than ending the drug war. I second that nomination. I think that what has been done in Uruguay has enormous significance for human rights and to end this racist war against folks of color in the US. A blow to the cartels strikes a blow to the senseless murder of thousands of people in many nations. Viva Uruguay!!! I hear the price will be one dollar a gram.Take that all you profiteering medical cannabis clubs that charge an arm and a leg.Sure it costs more to grow indoors,but not that much more.The Canadian government has ceded the medical cannabis to private entities that have to get government contracts.Patients are forbidden from growing their own.Costs are going to quadruple.We can make our own beer and wine but a patient cannot grow their own cannabis.I had a license but lost my doctor.I was asked to pay $500 for a doctors signature.This was all legal?Makes you wonder if this legal thing is such a good idea?Government really does seem to screw everything up. any news on whether mujica has sign it yet? Stop government corruption and legalize marijuana everywhere in the United States. The comments about dispensaries are spot on. These guys are charging way to much. Why do non-profit dispensaries charge the same prices as for-profit drug dealers? I prize to a man how legalizes Marijuana in order to save lives is not the price to a man who has been influential to stop massacring life in different parts of the world. I hope that Jose Mujica does not accept it as he will be put at the same level to the man who destroys lives, deports people and separates families.